You can read the e-newsletter in its entirety here. The City Utilities Committee began consideration this past Tuesday July 15th of a bill introduced by nine members that would place legal responsibility for sidewalk repairs and maintenance upon the city instead of adjoining property owners, as is currently the case. The Department of Public Works asked that the legislation be held so that the Legal Department could complete a review of the effect of such legislation on any separate and disparate part of the code. A couple of members have concerns about raising citizen expectations of repairs, given that the topic is not addressed in the new budget adopted last month. Other council members – including many of the sponsors – pointed out that the city has consistently been held liable in local courts for injuries on sidewalks, existing statutes notwithstanding. 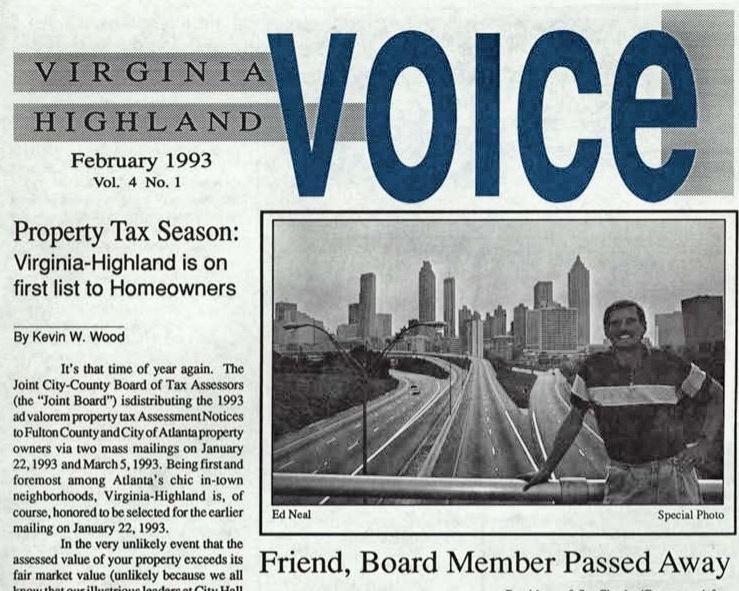 Mary Norwood reiterated her belief – and that of other council members – that only the city could manage this challenge on a large-scale basis, and that it was neither cost-effective nor practical for individual homeowners to meet the many legal and permitting burdens imposed by the city upon private contractors. This includes – among others – a very high bonding requirement for contractors and negotiating with the Parks Department about tree impacts in the adjacent sidewalk strips, for which the city is responsible. Norwood further voiced her concern that the idea of using bond monies (should next year’s contemplated bond issue be adopted) to make sidewalk repairs in various places absent a city-wide plan and the city’s full acceptance of the responsibility would prove divisive and dilute support for the entire bond proposal. A number of other council members voiced agreement for these specific and broad arguments, while also suggesting that a careful approach that considered any comments from the Legal Department was a good idea. After deliberation, the committee decided to hold an August work session on the topic and re-address the legislation at its scheduled meeting on August 29th. VHCA intends to be at the work session, and we’ll report its date and other developments as they occur. 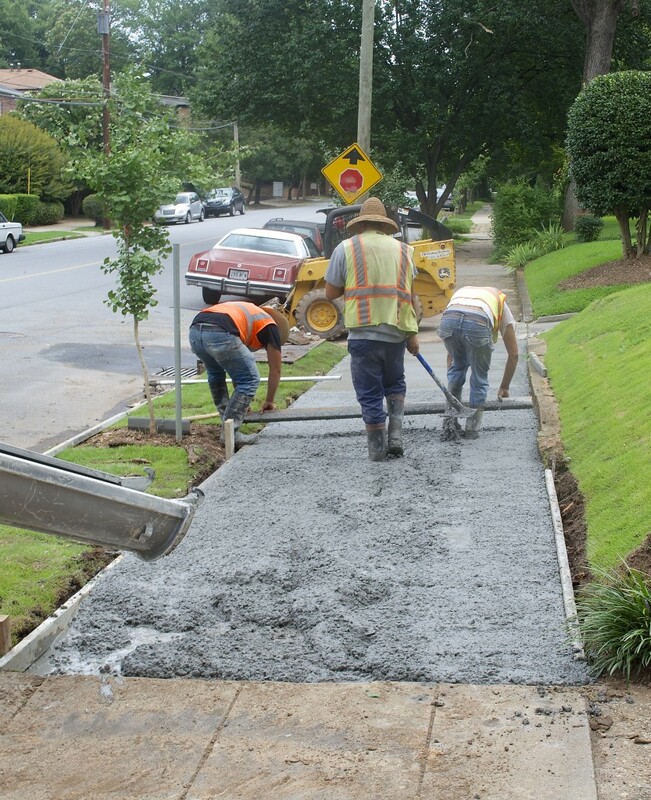 Nine Atlanta City Council members are co-sponsoring legislation to remove a city ordinance that requires homeowners to pay to repair sidewalk abutting their property. This legislation will be considered at the July 15 meeting of the City Utilities Committee, 9:30 am, Committee Room #2 on the second floor of City Hall, located at 55 Trinity Street. Click here to view a copy of the proposed legislation. Enacting this law will put the City on a course to provide safe pedestrian access around Atlanta and to manage the sidewalk system on a large-scale, cost-effective basis. It will remove from homeowners and contractors the necessity of meeting an array of legal and permitting burdens that the city either does not face or routinely handles in the process of everyday governance. These include, among others, negotiating with the Parks Department about tree impacts in the adjacent sidewalk strips, and bonding and permitting requirements that make fixing individual sidewalks one at a time expensive and time-consuming. The City daily manages such intergovernmental challenges in streets, parks, sewers, and safety; its Public Works Department already has the professional capability to handle sidewalks. With steady funding, it is realistic to think we can have a sidewalk system that is significantly better and continuing to improve within ten years. Next year’s contemplated City of Atlanta infrastructure bond would provide a great funding start to catching up on deteriorated sidewalks. This proposed ordinance must work its way through the city’s legislative system before becoming reality, and it is unclear how long that might take. In the meantime, adjoining property owners are still responsible for making sidewalk repairs. The City of Atlanta 2015 budget has been adopted and includes no budget for sidewalk maintenance. Changing the provisions about who is responsible for sidewalks does not itself fund sidewalk repairs like those we are doing in Virginia-Highland. Because of the bundle, the participating properties in Virginia-Highland are fixed now, a huge benefit in our pedestrian-oriented neighborhood. If the City funds a program of sidewalk maintenance, it should do repairs based on a clear priority system. For instance, high-traffic sidewalks and those around hospitals, schools, transit stations, etc. would theoretically be high priority and repaired first. Sidewalks on tertiary streets like ours may well have a low priority. Realistically, it could take some years to repair lower priority sidewalks. Property owners who want safe, usable sidewalks were able to have the necessary work done at a below-market price through the bundles the VHCA has coordinated. In addition, property owners did not have to deal with contracting or permitting the work in the bundles. For property owners who want to have good sidewalks, we think the bundle was a very good deal. We hope you do as well. Thank you to the property owners who paid for improvements and enhanced Virginia-Highland for all of us and our visitors. Anyone interested in learning more or providing input is encouraged to attend the July 15 meeting at City Hall. The VHCA will be there. Here’s a link to Alex Wan’s latest e-newsletter. Topics covered include the 2013-2014 city of Atlanta budget, city of Atlanta property tax assessments, and a redesigned District 6 website. 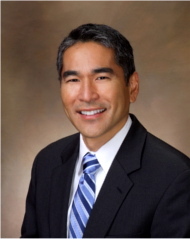 Click here to read the latest newsletter from District 6 CIty Councilperson Alex Wan. The newsletter includes updates on the City of Atlanta 2014 budget, efforts to rezone commercial property along the Cheshire Bridge Rd. corridor, the Clear Creek Sewer Overflow project, free Atlanta Symphony Orchestra concerts in Piedmont Park, and more. Posting this introduction and link to Councilmember Alex Wan’s most recent District 6 newsletter. Welcome to this edition of the Atlanta City Council District 6 eNewsletter. Click on this link for a recap of some of the important issues being considered by the Council. Please visit the District 6 web site for additional information, including our new District 6 calendar, a great resource for staying involved! As always, I encourage your feedback and comments. Please contact me at (404) 330-6049 or awan@atlantaga.gov if I can be of assistance. I appreciate the opportunity to be your voice in our city government.